July 16 – Premier League West Ham United is swapping its MRF Tires sleeve sponsor for financial services firm Bassett & Gold. No term or value was given for the deal that sees an expanded sponsorship package than the previous one-year deal with MRF. This will be the second season Premier League clubs have been allowed to sell sleeve sponsorships. 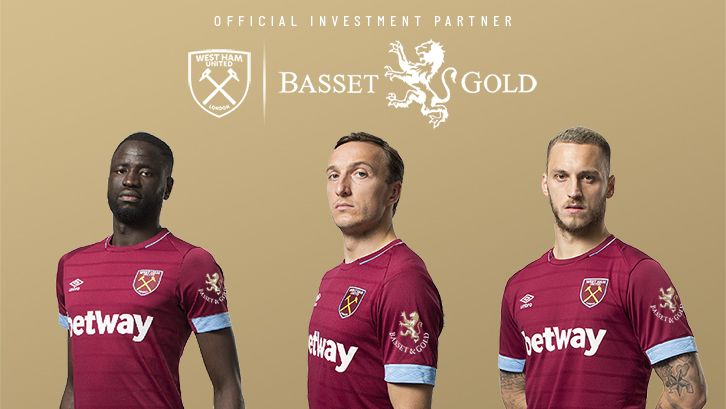 Basset & Gold’s logo will appear on the left sleeve of all West Ham United’s men’s first team, Academy and PL2 shirts, as well as becoming West Ham United’s eSports partner. Basset & Gold will also benefit from further branding opportunities across the club with a focus on working together to develop local community activity through charity work as well as fan engagement opportunities in east London. Karren Brady, West Ham United Vice-Chairman, said: “What really appealed to us was their commitment to working and engaging with our fans in east London and the local community. “Our fans are at the heart of everything we do and we wanted to partner with someone who understands that and mirrors that commitment in their own work.